Each week, VPR features a submission - an essay, poem, fiction of nonfiction - accompanied by a photo or illustration from the Young Writers Project. The Young Writers Project provides VPR's audience another avenue to hear and read selections from Vermont's young writers. The thoughts and ideas expressed here are the writers' own and do not necessarily reflect those of Vermont Public Radio. 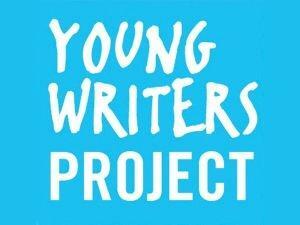 The collaboration is organized by Susan Reid of Young Writers Project and Vermont Public Radio. The first time I heard of the wave of school shootings streaking across our nation, I was shaken to the core of my being. The second time, I was scared but not shocked. By the third time, I was used to getting alerts about students being shot in one of the few places they should feel safe. And that’s not a sentence anyone should ever be able to say. I read the stories online. I read the obituaries of the students, who had opportunities awaiting them they’d now never be able to take: acceptances into college, internships, places on sports teams – all robbed from them with a single bullet. with whatever the most dominant person says? Don’t have opinions, just move on, avoid distress? more so than the one who actually knows what they want? and she was the fire. trying to take me over. One shoe off, then the other. of clothing fabric against my skin. the sink doesn’t drip, for once. (or else you will fall back down). and really nothing is coming to my mind. with the wind lightly blowing. slowly eating the wheat as if in slow motion. But they don’t care; it’s as if they are happy to be slow eaters. and I think, How are they not getting distracted by the flies? but they are just good at hiding it from others. Or maybe they just don’t want us to know. The Lorax tried, but he couldn’t stop him. It is my turn to make him understand. I speak; my leaves brush against my fellow saplings. My home is this Earth, and my job is to breathe. if you cloud the air around me with smoke. if your machines continue to rip them from the ground. Do you ever feel like life is written for you? Do you ever feel like your thoughts aren’t your own? writing about how you feel? Do you ever want to just… reach out? nor evil witches in towers. Play me something new and sweet. I need a bit more than deep, blue nothing. and buy me a bit more time. Memories fade with time; this one is no exception, but I will pull it back carefully so that it doesn’t break as I retrieve it from deep, deep down within my mind. Two avocados, a smidge of tomato, ½ a garlic clove, a few drops of lemon juice, lots of salt, a dash of pepper, our secret ingredient we always forgot the name for, and ¼ of an onion.